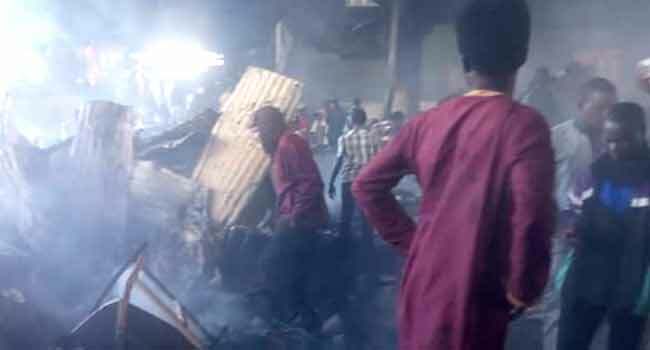 Shops and warehouses worth millions of naira have been burnt down by fire at the popular Terminus market in Jos, the Plateau State capital. The fire was said to have started in the early hours of Saturday morning as the cause is yet to be ascertained. Over 200 shops are reported to be affected in the inferno, leaving traders to count their losses. Men of the Fire Service were reported to have arrived at the scene of the fire when alerted to rescue lives and some properties at the market. The market which is mainly dominated by Igbo owned businesses are said to have been destroyed years ago following a bomb explosion. The police, however, confirmed the incident, adding that work will commence to know the cause of the fire.